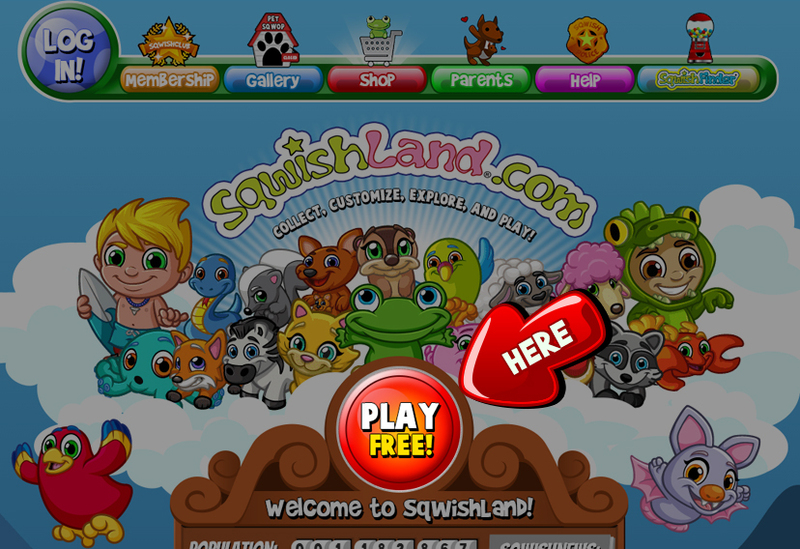 When you go to SqwishLand.com, you can press the big red “Play Free” button to begin your SqwishLand adventure! If you don’t already have an account, please follow the instructions for creating a FREE account found HERE. After you have an account, you can return to the log in page and input your Username and Password to enter the Sqwishtastic world of SqwishLand!